NFC World partners Bell ID, SimplyTapp, Carta Worldwide, Mahindra Comviva, Kona and Gemalto will be exhibiting at the Money2020 expo in Las Vegas from October 25-28. Here’s what you can expect to see and where you can find them during the show. Bell ID will be exhibiting at booth #1617. Topics the company will be highlighting include host card emulation (HCE), tokenization, Apple Pay and the blockchain. Senior executives from HCE specialist SimplyTapp will be at kiosk K7, showing a video demonstration of the ATM-based mobile wallet onboarding system it has developed with Diebold. Carta Worldwide will be exhibiting at booth #2520 and CEO Brian Semkiw will be on a panel titled ‘Mobile payments platforms and the role of the carrier, device and operating system’ on October 28 at 12:30pm. Carta will also provide arcade games at the entrance to the exhibit hall. Gemalto will host a charging lounge on the fourth floor, outside the Marcello and Zeno ballrooms. The company’s experts on online payments, mobile payments and everything in between will be on hand to answer questions on trusted payments. Kona will be exhibiting at booth #1115, where it is expected to introduce Kona Payment, a cloud-based platform that uses HCE and tokenization to support in-store, in-app and online payments. Mahindra Comviva can be found in meeting room #1862. The company will be showing its Mobiquity Wallet and PayPlus offerings and will demonstrate how these products can help financial institutions, banks and mobile operators. NFC World’s Rian Boden will also be in Las Vegas to report from the event. 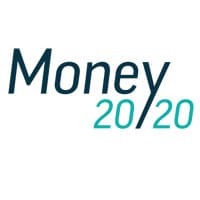 Follow our Money20/20 hub for the latest news direct from the show floor.